CeCe Winans is a premier Gospel Artist with 8 Grammys 22 Dove Awards and numerous other awards under her belt. After 8 platinum and gold selling projects finally comes the first culmination of her most popular songs a winner for all of CeCe’s loyal fans. For Always: The Best of CeCe Winans represents the timeless vocals and passion of one of the greatest gospel female vocalists of our time. CeCe continues to fill up Churches and concerts halls performing these audience favourites now available on 1 CD for the first time. For Always The Best Of Ce Ce Winans by CECE WINANS was published by EMI in October 2010 and is our 1535th best seller. The ISBN for For Always The Best Of Ce Ce Winans is 5099969472527. Got a question? No problem! 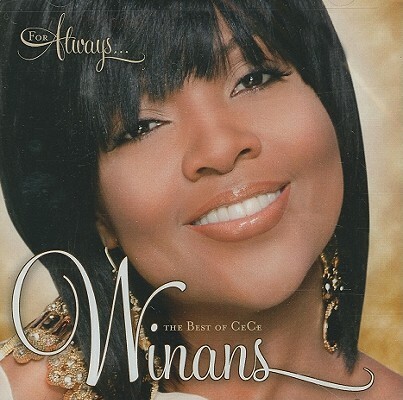 Just click here to ask us about For Always The Best Of Ce Ce Winans.